Great study aids to inspire and influence your playing! 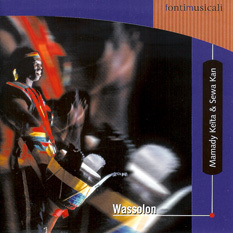 Mamady Keita's first album recorded in 1989 with the Sewa Kan group in Belgium. Tracks include: Kassa, Djabara, Fankani, Kuku, Komodenu, Djole, Soli Lent, Soboninkum, Dundunba, Djagbe, and Tiriba. Along with 'Wassalon', this album is a classic and a must-have Mamady Keita album. Tracks include: Dennadon, Yankadi, Makru, Mendiani, Babaninko, Sorsonet, Sunu-Diansa, Kandan Bolo Konondo, Vanaye, Djaa, Konkoba, and Kono. "Earth Tribe Rhythms" is Brent's first all percussion album. It is powerful, rhythmic music and much loved worldwide. It is the Ultimate Drum Experience and excellent driving music. "The Primitive Truth" is all percussion, and features several guest drummers joining Brent in exotic and exciting rhythms. The album is great for warm up, technique and choreography. 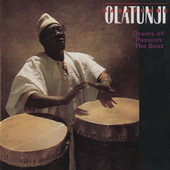 Drums of Passion is an album released by Nigerian percussionist Babatunde Olatunji in 1960. One of the first world music albums recorded in the United States, it was immensely successful and sold over five million copies! This album is Babatunde Olatunji's tribute to the power of rhythm: “Rhythm is the soul of life. The whole universe revolves in rhythm.” Features famous Brazilian percussionist Airto Moriera and rock guitarist Carlos Santana. One of the grandmasters of djembe drumming with his band performing beautiful songs and rhythms from West Africa. Great energy and top-notch soloing, with melodic elements liek balafon and guitar. Check out the virtuoso talking drum player on Track #4. Grateful Dead drummer Mickey Heart gathers together an all-star team of percussionists from around the globe in this wonderful creation of rhythmic cross-cultural sharing. This album became an instant classic the moment it it was released!